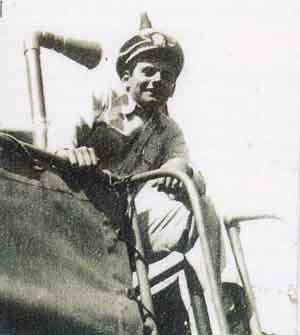 Midwestern boy Michael Kapnas joined the Navy in 1943 at age 17 and was commissioned as an ensign in 1945 as the youngest officer ever in the US Navy. He was serving as a skipper of LCTs (Landing Craft, Tank) in preparation of the invasion of Japan when the war ended. While stationed in Florida during his training, he was able to see the smoke rising from American ships attacked by German U-Boots scant miles off-shore. He served 28 years in active and reserve duty, and retired in 1971 after serving as Commander. Kapnas led a very successful life in public relations after the war and is still happily married to the girl he met in 1947. He often speaks in San Diego County high schools teaching our future leaders the value of service and contribution to the community.